After two years in the startup trenches as the Biotech Reporter at San Diego Business Journal, I saw an opportunity to dive deeper into the local startup scene. I pitched a new section of the journal dedicated entirely to startups and entrepreneurship, and later became the lead on this project. The new segment, launched June 2016 as “The Startup Page,” was designed to stand out from the rest of the publication. It was such a hit with subscribers (and advertisers) that the entire publication underwent a redesign to mimic its layout. 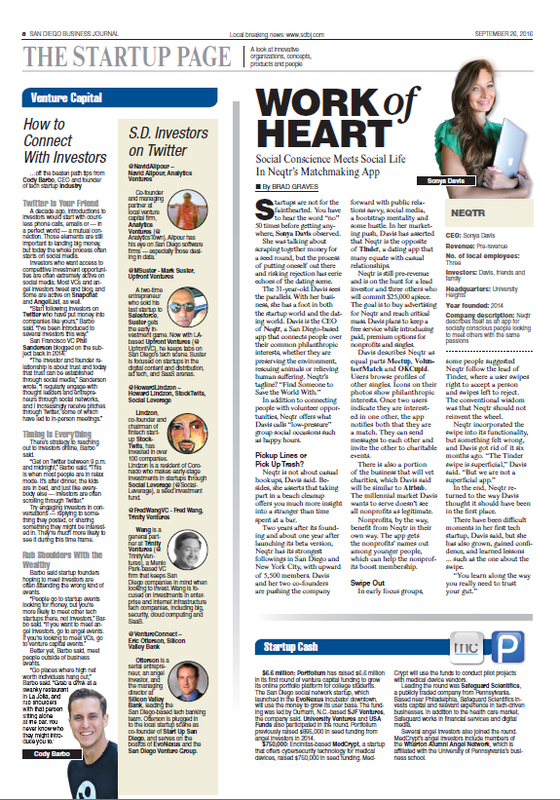 The Startup Page also introduced our publication to the Gen X and Millennial generations in San Diego, two subsets of the local population that were previously outside of SDBJ’s core readership. I mostly cover the drug development side of biotech, but every now and then I get to dip a toe in environmental biotech. Here’s a profile on a biofuel company that went bust, then pivoted to a new offering. 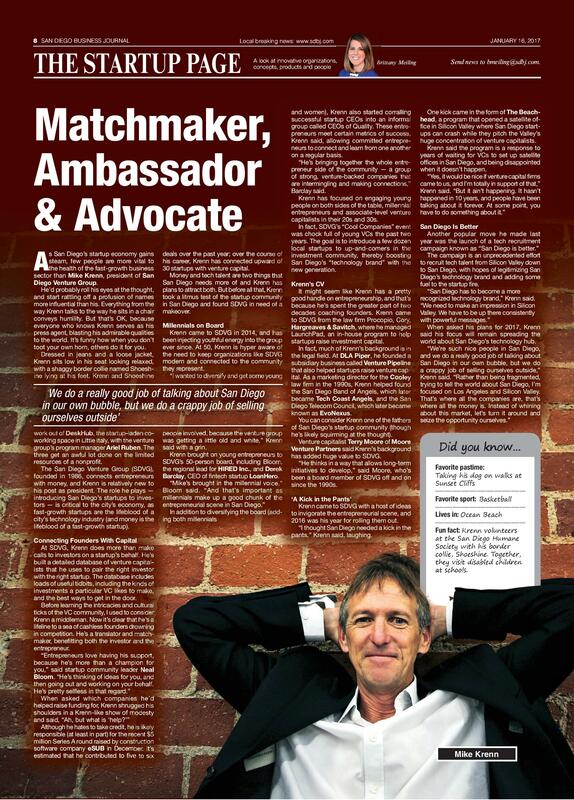 READ THE FULL STORY AT SAN DIEGO BUSINESS JOURNAL. This was an exciting piece on a stealthy private biotech with a valuation that sounds too good to be true. First broken by Forbes Reporter Matthew Herper, I followed with a local in-depth look at Samumed’s larger-than-life valuation. This story won Third Place in the 2016 Excellence in Journalism Awards put on by the San Diego Press Club. Everyone jumped on the story of GRAIL, the exciting new spinout of sequencing giant Illumina Inc. Due to our weekly publishing cycle, I took more time to consider what other reporters hadn’t: the concept is exciting, but can they do it? What challenges will they face? 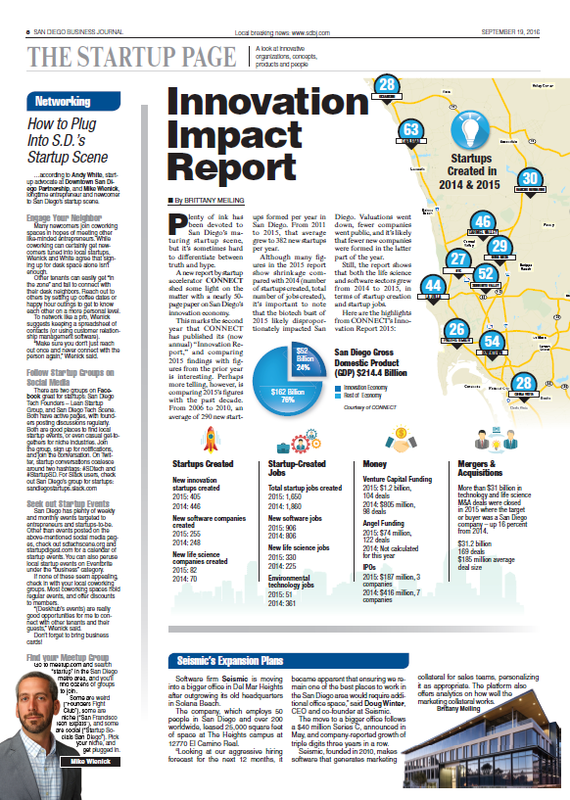 Our design team worked with me to create the first-ever infographic to run in the San Diego Business Journal. This article took lots of diving into data, but the result was a fun detour from what the business journal usually produces. The design team had so much fun creating it that its now a regular option for SDBJ reporters, should they choose to put the work in.